Connectix Home Cabinets have been designed to be the heart of a state of the art home, or small office, networking system. Available in 8u and 10u sizes, the cabinets can house all core equipment and wiring terminations. 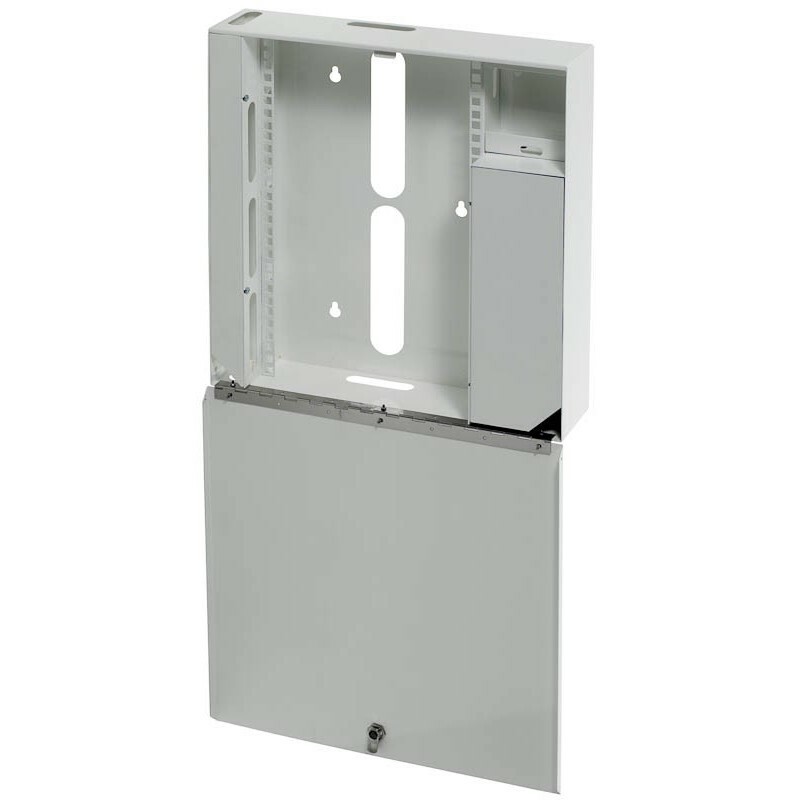 These key lockable cabinets are ideal for installing Connectix 12 way RJ45 panels, and for distributing voice, data, ISDN, internet connection, TV, video and CCTV around a home or small office network. The cabinet has two enclosed sections; one to house a 4-way power unit, and another for leads and incoming cables.